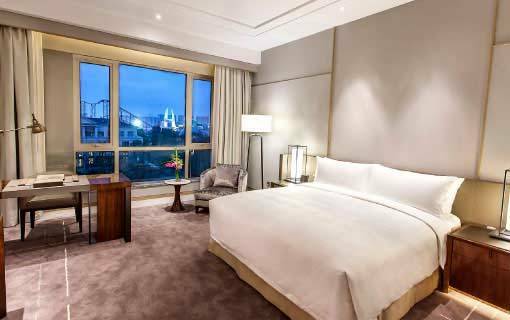 Located in the ancient Dragon City of Changzhou, Marco Polo Changzhou is well-served by high-speed railway and highway network. Situated in Changzhou’s Xinbei District adjacent to the China Dinosaur Park, renowned as an urban oasis set in 78,000 m² of landscaped gardens along the Grand Canal and Zaojiang River. The hotel features 271 rooms and suites with modern Asian touches with The Continental Club offering personalised services, exclusivity and comfort, the hallmarks of Marco Polo hospitality. A boutique hotel within the hotel, The Mansion, a short stroll from the main building features 31 rooms and suites with 3 luxurious event venues and multiple breakout rooms for meetings, executive outings, family gatherings and weddings. The Mansion offers integrated accommodation and event spaces for functions requiring privacy with luxury. The classically designed venue is nestled within manicured gardens, offering stylish indoor and open spaces. One of multiple luxurious suites, the Presidential Suite offers the hotel’s premier accommodation featuring a majestic balcony, perfect for intimate dining for two, elaborate celebrations and corporate events. Jiulong Ya Yuan serving modern Huaiyang cuisine is celebrated across Jiangsu Province under the stewardship of Chinese Chef Carl Xi. The Garden Café delivers all day dining dishes, hot pots, table-side mini-barbecues, and buffets with indoor and outdoor garden dining. The Lounge and Tapas Y Vino Bar & Restaurant are ideal to unwind and enjoy a drink. Featuring 2,000 m² of indoor meeting facilities including a 600 m² pillar-less Ballroom and 20 well-equipped multi-function rooms. Supported by a dedicated event service team all facilities afford natural sunlight, complemented by elegant open-air venues for wedding ceremonies, riverside cocktails and garden barbecues. During weekends and public holidays, extensive children facilities including Piccolo Kids Club, a Dragon Bouncy Castle and Children’s Cooking Classes are available for children to enjoy. The indoor swimming pool, fitness centre, spa, outdoor private tennis court complement activities including jogging, cycling and strolls around the friendly neighborhood. The adjacent Dino Water Town includes a shopping mall, factory outlets, open air cafés and a cinema multiplex as well as relaxing hot springs. Guests traveling green with electric or hybrid cars may enjoy charging facilities on property. Enjoy complimentary WIFI, minibar, car parking and a free upgrade when booking your stay at Marco Polo Changzhou directly via marcopolohotels.com. 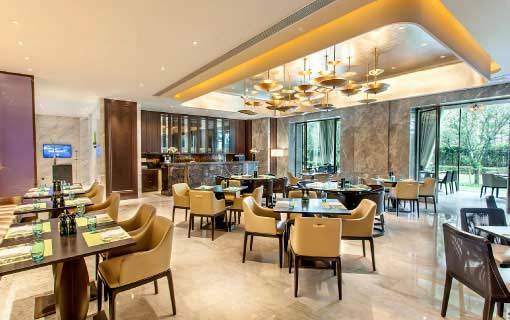 Four irresistible restaurants & bars to choose, ranging from international buffet, distinctive Tapas snacks to authentic Haiyang cuisine. Elegantly appointed guestrooms and suites at The Mansion or the hotel high-rise building all offer spectacular view of lush gardens. 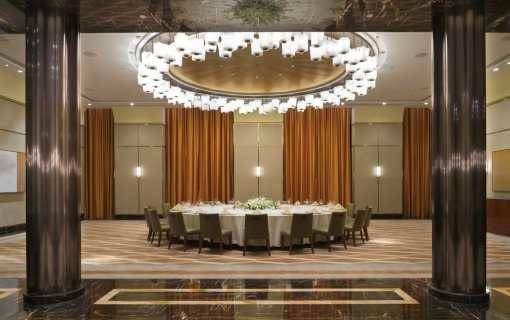 Featuring 2000 square meters of function space, including a Marco Polo Ballroom of 600 square meters. All facilities feature natural sunlight, lush gardens. 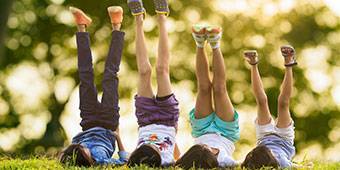 Have fun with your children at our Piccolo Kids Club all day.